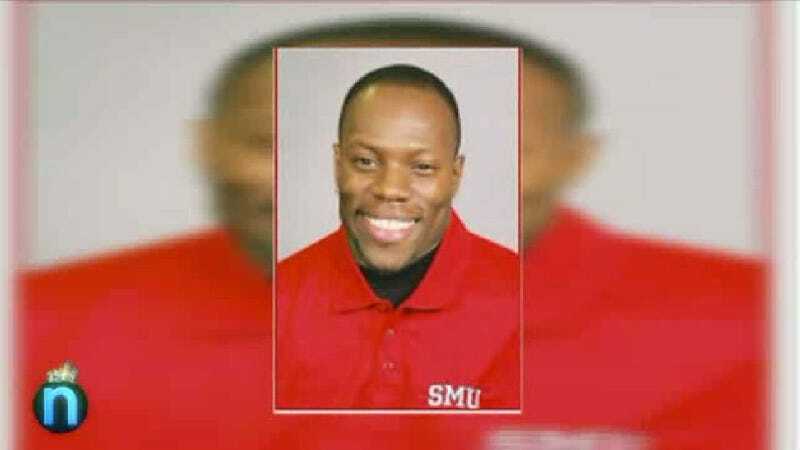 The alleged victim reported the sexual abuse on October 4, 2013 and Johnson, a former athlete for the big Texas football school Southern Methodist University, was put on administrative leave shortly after. The Dallas Police Department is investigating the case and questioned Johnson this week, which resulted in his resignation and arrest. However Johnson's bond has already been paid and he is somewhere walking around right now. Sigh.